Blog Flog: This post was sponsored by Alberta Wheat. Thanks for growing delicious things, and supporting this space! 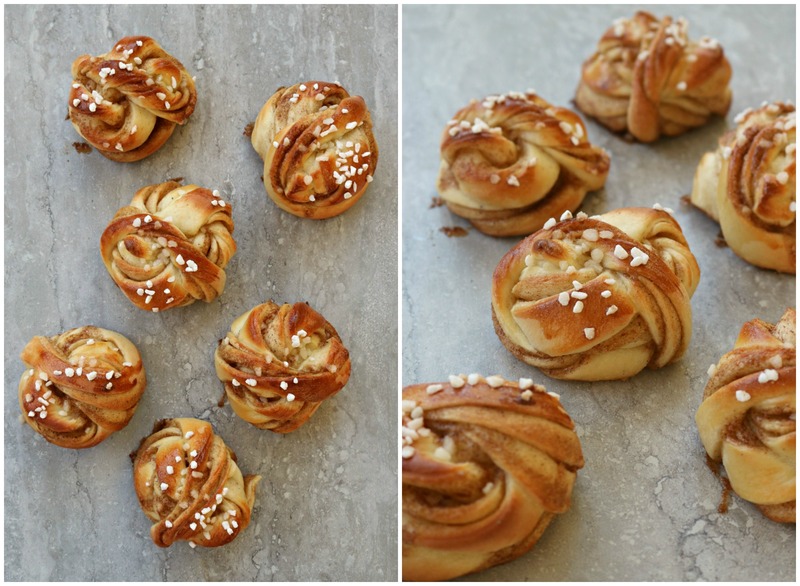 So I’ve seen these twisted Scandinavian cinnamon rolls in pictures over the years, and have always been fascinated with them – they’re like genteel cinnamon buns, not as gooey and unwieldy (not that there’s anything wrong with that), and are irresistibly pretty, like elaborately twisted knots. 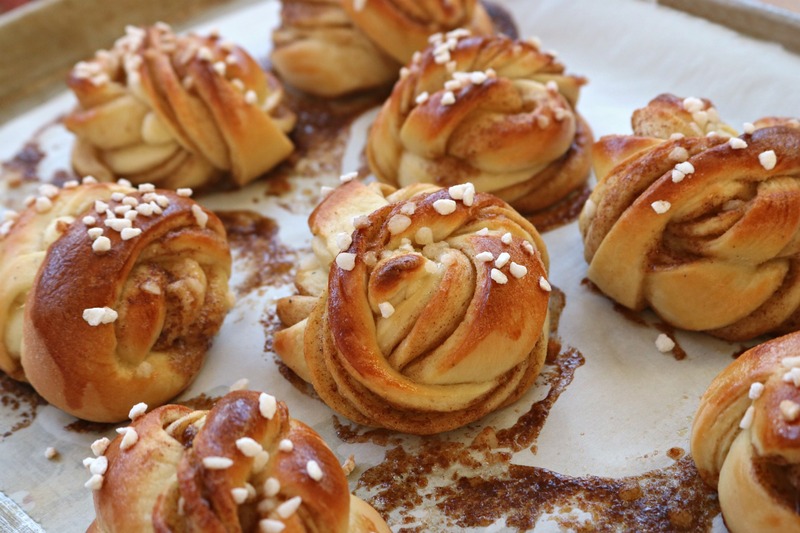 They’re called kanelbullar, or sometimes kardemummabullar if they’re spiked with cardamom (which they should be). Since the best part about the holidays is the baking, I figured now was the time to give them a go. I’ve already made them twice in a week, and have plans to stack some of the filled, flat pieces of dough in the freezer to pull out, twist and bake on Christmas morning. People have been asking for weeks if I’ve finished my holiday baking yet, as if it’s a project that needs to be neatly done and tucked away well in advance of Christmas. I never quite understand this question, because isn’t holiday baking something you do throughout the holidays? It’s not like Christmas shopping, which pretty much needs to be wrapped up (literally) by Christmas eve. I understand that fruitcakes are often made back in October, to be given an adequate number of weeks to douse in booze, but in my mind the rest of the baking – the cookies, squares, Turtle-stuffed shortbread, stollen, panettone, mince pies, butter tarts, homemade Raincoast crisps, Parker House rolls – these are in constant rotation in and out of the oven throughout the month of December. Of course there are the things I make once a year, so many recipes that stay the same. Some of them evolve, of course – I try to expand my fruitcake horizons, and a few weeks ago I gave plum pudding a go in the slow cooker. Most years I take something new for a spin, just to try some new bread or pastry to see if it’s worth bringing into the annual Christmas fold. When it comes to baking during the holidays, there are a ridiculous and endless number of things to be made. And of course being in Alberta, we have some of the best raw materials to work with, including wheat – our largest crop and the basis for so many of these things, and yet an ingredient we largely take for granted. I have a sack of unbleached all-purpose flour from Highwood Crossing in High River in my kitchen, and anticipate going through all of it in the coming weeks. Rather than have a big flour canister on my countertop, I have an enormous bin in a pull-out drawer, I go through so much of the stuff. 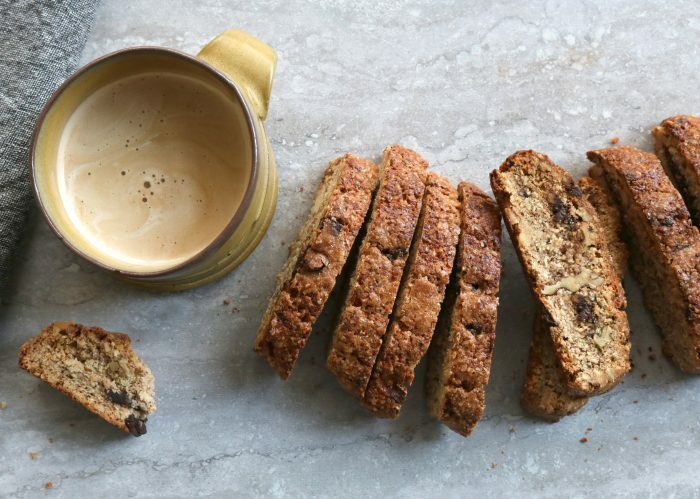 Like other ingredients, good-quality flour makes a difference, particularly when you’re baking bread. I’m into the rhythm of it again, having revived an old sourdough starter and begun mixing up batches of no-knead dough on the regular to bake in a hot, covered pot for an unbelievably crackly crust. (I’ve used the same formula for olive bread with rosemary, and it makes an amazingly chewy pizza crust.) 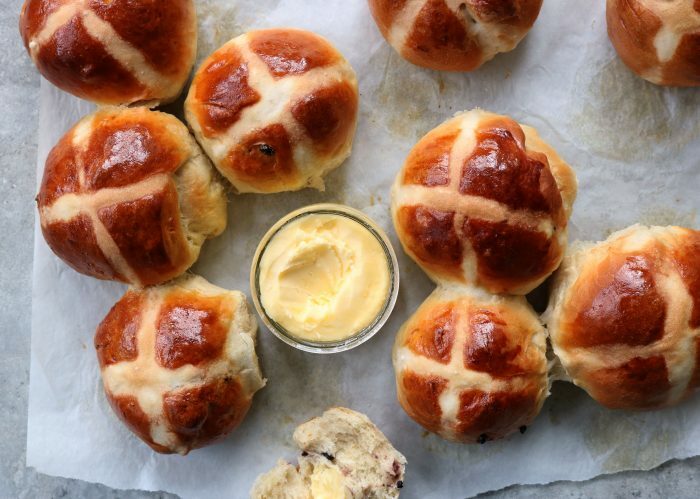 But that’s just the day to day stuff – in winter, on those days when the light stays so low it seems like dusk starting at around 2pm, I like to spend more time in the kitchen, and rolling and kneading a nice, soft dough rich with sugar, butter and eggs on a floury board is one of the biggest stress reducers. 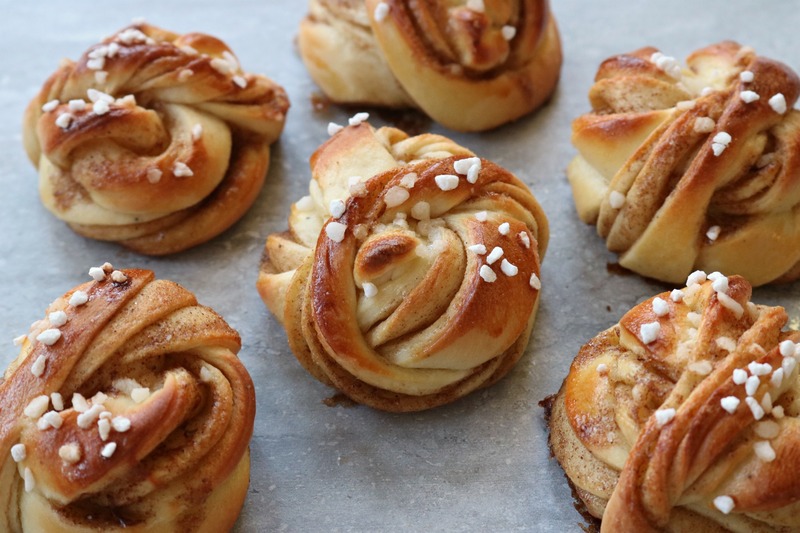 This year, kanelbullar with cardamom has become my new thing – you roll soft dough into rectangles, spread it with a paste of soft butter, brown sugar and cinnamon, then fold it up like a letter, give it another quick roll and cut into long strips you then twist, roll around your fingers and tuck under itself. 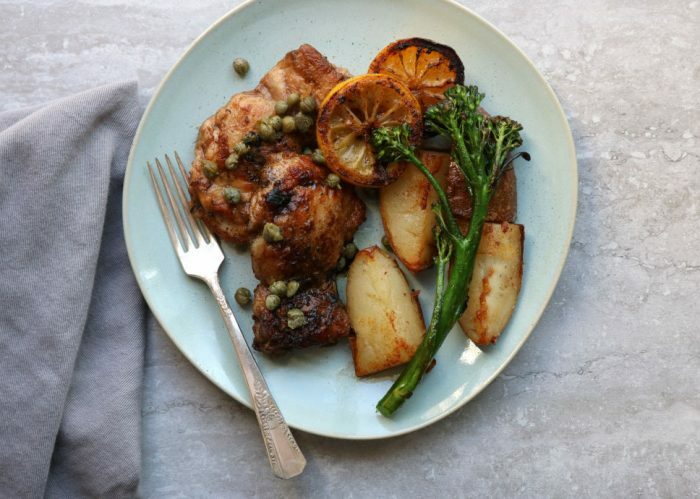 (There’s a great visual by British food writer Izy Hossack here.) It’s the sort of thing you can play with until you get a handle on, and even if it’s wonky, they’ll still look great. I feel like the one thing people who aren’t yet comfortable with handling yeast doughs tend to do is add too much flour – you want the dough to still be tacky. If it’s too sticky to knead, and you have to scrape it off your fingers, it’s too sticky, but it should be tacky, and will smooth out as the dough has time to rest and rise a bit. Better to err on the side of not quite enough than too much. I’m hoping these will stick in W’s mind, that he’ll remember me making them on special occasions the way moms do, and teaching him how to twist them too. Can I also point out the potential for other flavours here? 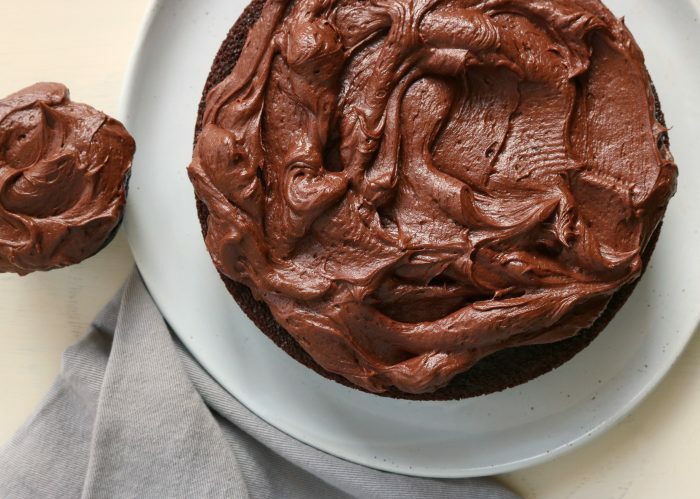 Chocolate paste, babka-style? 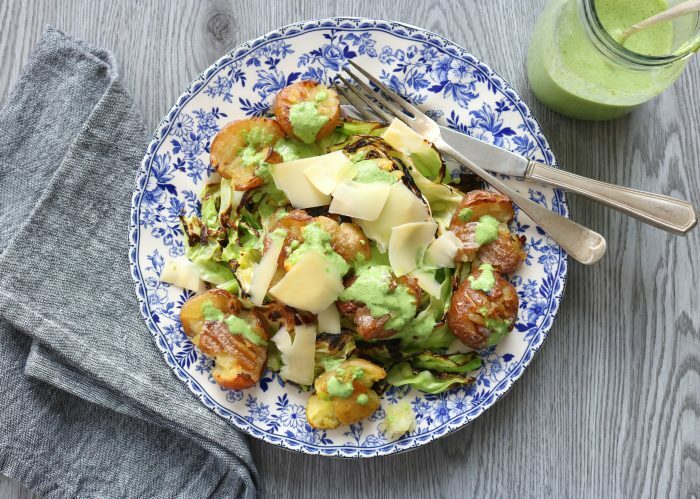 Garlicky butter and grated aged Gouda? Pesto? 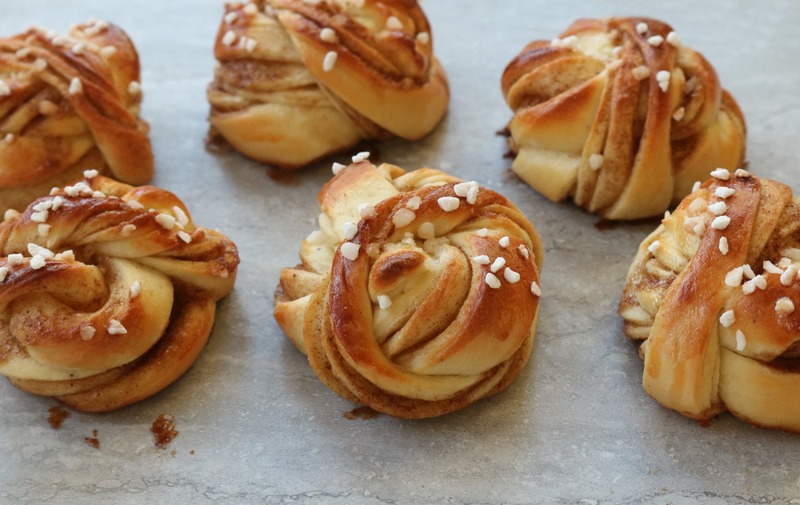 There are so many things you can spread onto rich yeast dough and twist up into a bun. 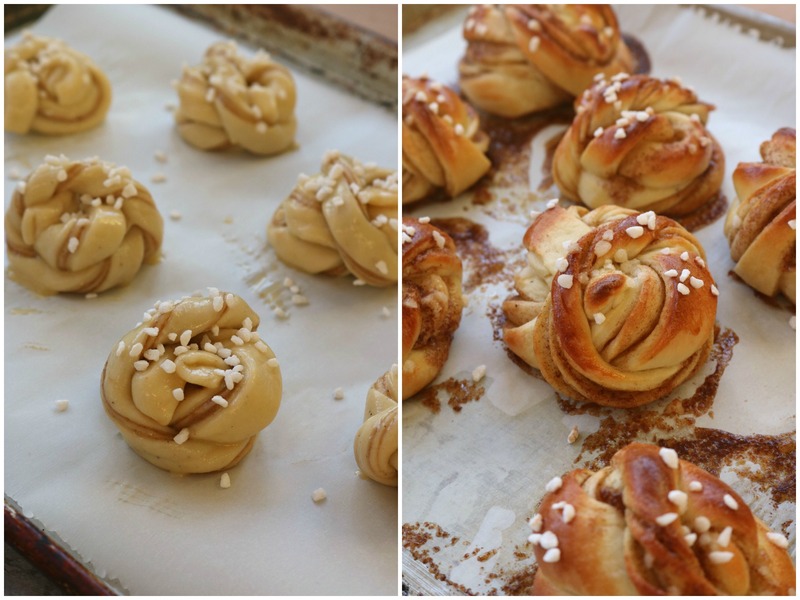 (I’ve never been able to twist my own hair up into a bun – it’s gratifying to be able to at least do it with dough.) 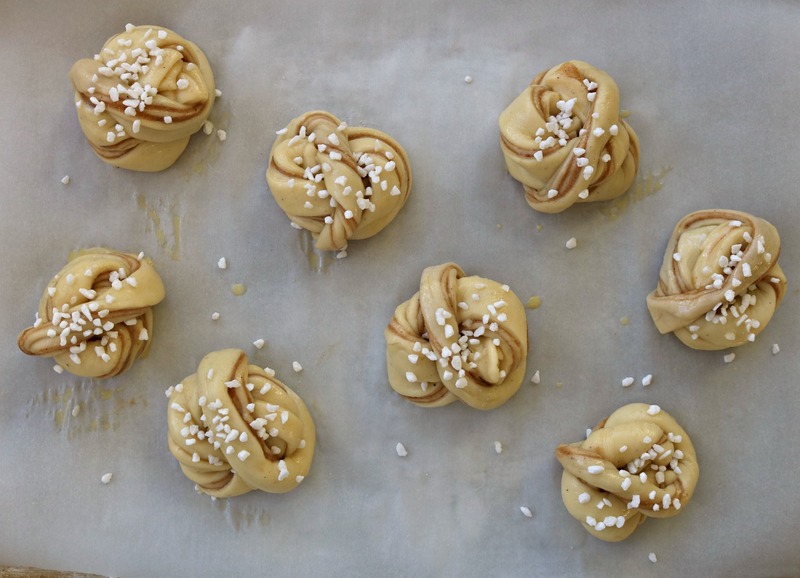 A quick brush with beaten egg will make these deeper golden and glossy, and you want to forego the pearl sugar or sliced almonds on top, just sprinkle the finished rolls with icing sugar. 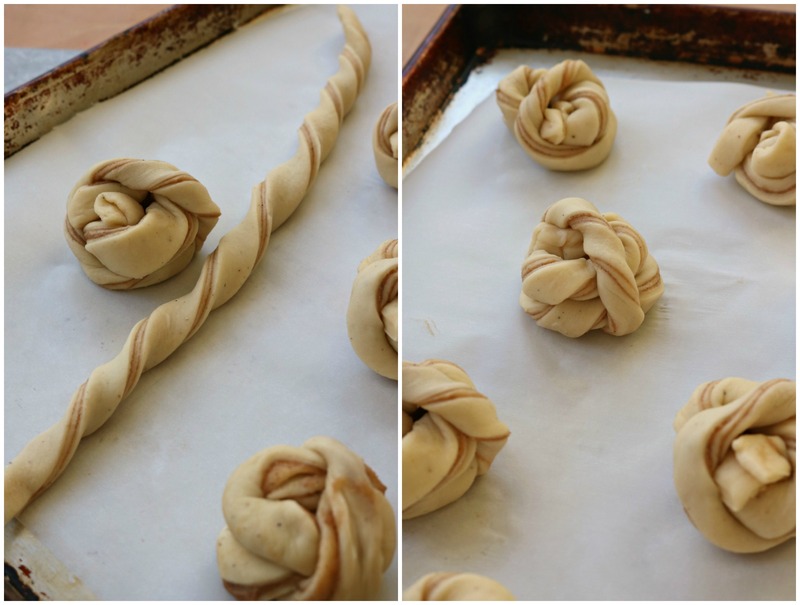 And if you want to assemble them the night before and bake them in the morning, slide the filled and rolled sheets into the fridge overnight, then twist and shape them while the oven preheats in the morning. 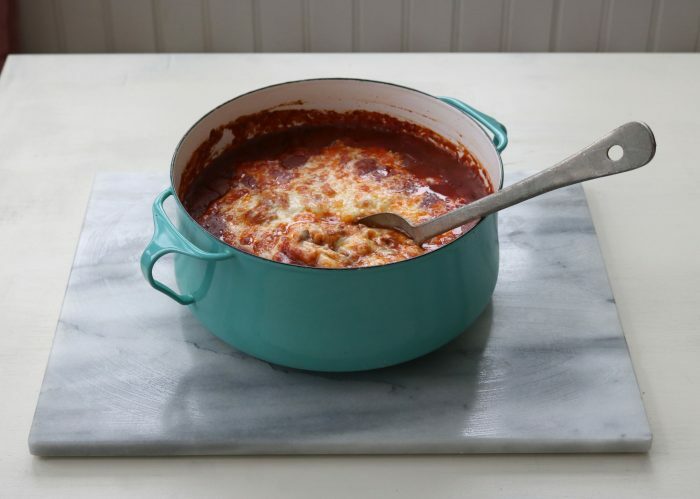 These are so wonderfully tender and amazing, and best soon after they’re baked – although I have a few in the freezer, and successfully reheated part of my first batch the next day. Yum. Thanks again to Sponsored by Alberta Wheat Commission’s Life’s Simple Ingredient for helping me share the love! 1Put the milk into a large bowl and sprinkle the yeast overtop. Let stand for 5 minutes, until it’s foamy. Add 3 cups of the flour along with the butter, sugar, egg, cardamom and vanilla. Stir until the dough comes together, and continue to knead, or mix with the dough hook attachment of your stand mixer, until the dough is smooth and elastic, adding more flour as needed (you’ll likely need 3 1/2 cups). It should be tacky, but not sticky—add more flour if it’s sticking to your hands. It will smooth out and become less tacky as it sits. Shape into a ball and place it back in the bowl, cover with a tea towel and let stand in a warm place until the dough has doubled in bulk, 1 1/2—2 hours. 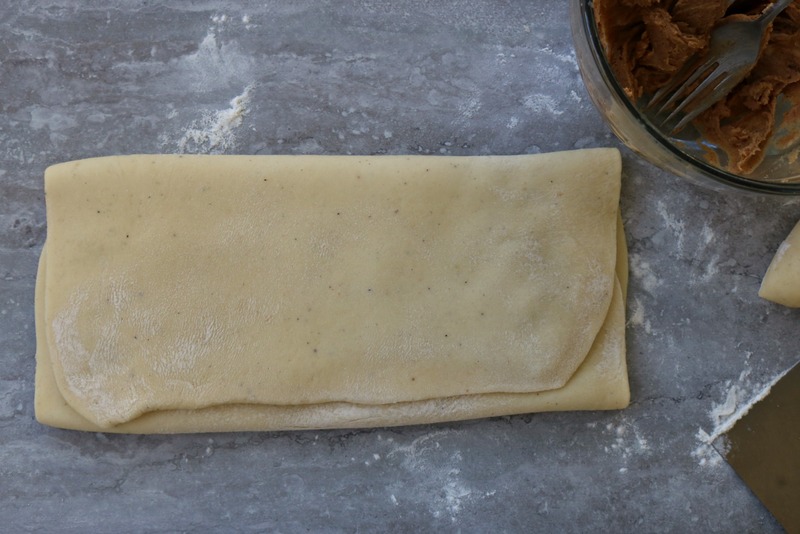 2Cut the dough into two pieces and on a lightly floured surface, roll each piece out into a rectangle that’s about 9x12 inches. In a small bowl, stir together the soft butter, brown sugar and cinnamon, and spread half over each piece of rolled-out dough. Fold each piece up in equal thirds, as if you were folding a letter, and roll it again until it’s roughly 8x14 inches. 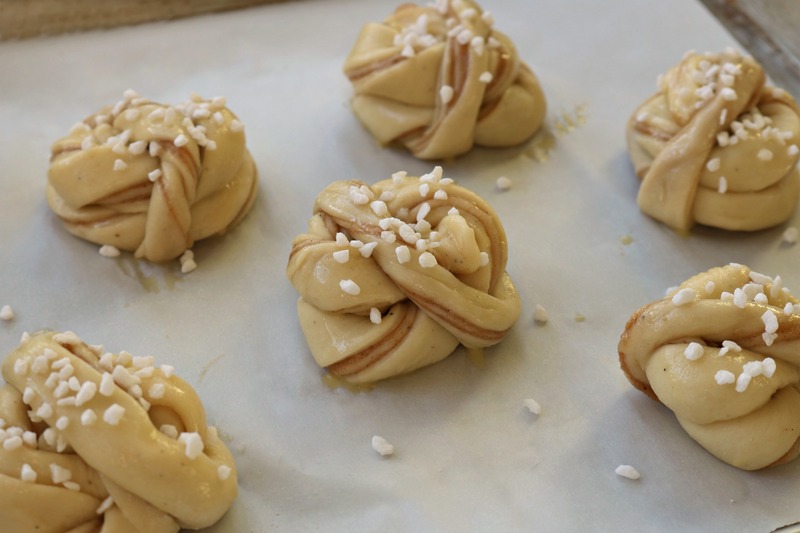 4Place each rolled bun on a parchment-lined sheet, brush with beaten egg and sprinkle with pearl sugar or sliced almonds, and let them sit while you preheat the oven to 350?F. Bake the buns for 15-20 minutes, until golden. Makes about 1 1/2 dozen kanelbullar. Holiday Dutch Baby + EggcentricTV! These are so beautiful and elegant! Where does one buy pearl sugar in Alberta? I bought mine at Duchess Provisions in Edmonton, which sadly closed earlier this year… I’d try the Cookbook Company or maybe Bulk Barn? If you’re in Edmonton, you may also try Barb’s Kitchen on 51 Ave; they have a large selection of baking and decorating ingredients in the food section at the back of the store. Yes Barb’s Kitchen on 51 Ave and 97 St carries pearl sugar as well as all different types of flours and grains as well as anything you need to make or cook with, worth checking out it’s a real treasure. I think I know what I’m making for Christmas morning! Thanks, Julie! One question. 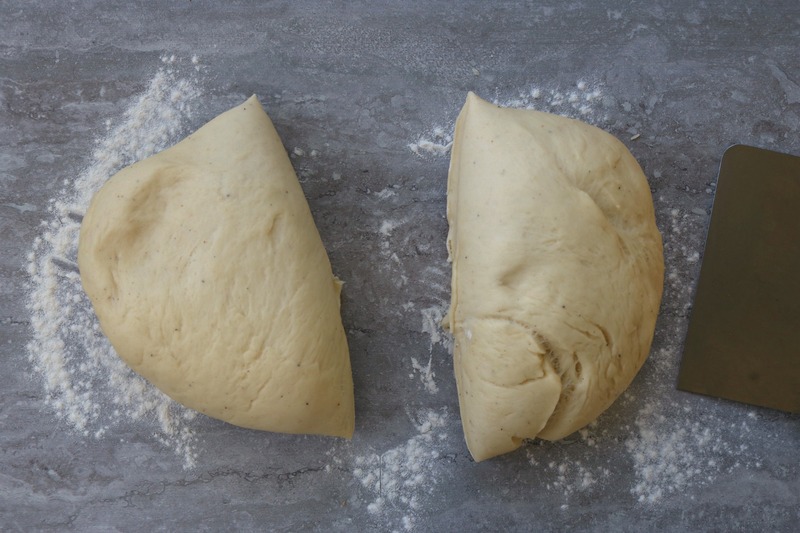 – early in your post you mention about freezing the dough – you’ve tried this? 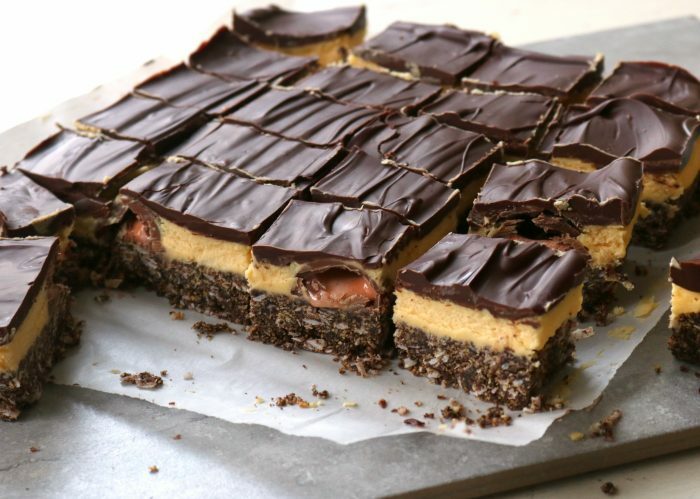 Is it the same as for refrigerating it – freeze it in the sheets (after the letter fold) and then thaw in the fridge and then cut into strips, twist, rise and bake? Merry Christmas, Julie! Thank you for another year of beautiful recipes. 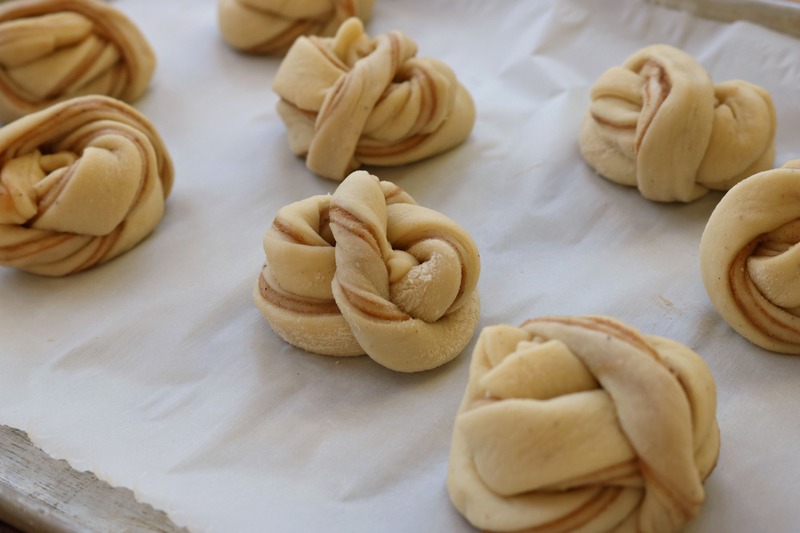 Yes, I’d think it would freeze as well as cinnamon roll dough – I have some in the freezer now! Hi Julie! The other day we almost walked into each other at Cookbook Co. Cooks. You apologized and I was speechless as I was too busy thinking, “Oh my God, that’s Julie!” Hope you didn’t think me rude. I am kicking myself now as I should of grabbed a copy of Alice Eats from the shelves and gotten you sign it!! My daughter would have loved it. Oh geez, that’s so funny! And we didn’t talk?! Next time say hi! And let me know if you ever want anything signed! Hmm.. I didn’t have this problem – perhaps the butter was too liquidy? You could definitely try it that way.. I think then the strips may be tricky to twist, but it’s worth a try. Or don’t spread the filling to the edge, and it will work its way to the edge as you roll? I had this squishing issue too. After reading your tip here Julie, I refrigerated the butter mix for the second half for about 20 mins and didn’t spread it as close to the edge (leaving about 2 inches around). About half the butter still squished out during rolling but I just unfolded it and spread it back in. Next time I’ll let the butter get even colder and leave even more space before the edge. So strange! I’ve made these 4 times this month and haven’t had that problem. So interesting how peoples’ experiences differ! I made these again, this time using a potato masher to smoosh together the (fairly firm) butter with the sugar and cinnamon. I sprinkled it over the dough (it was too chunky-hard to spread) and pressed it into the dough with my fingers. When I did the second roll, none of the filling escaped. And the rolls were delicious, once again! 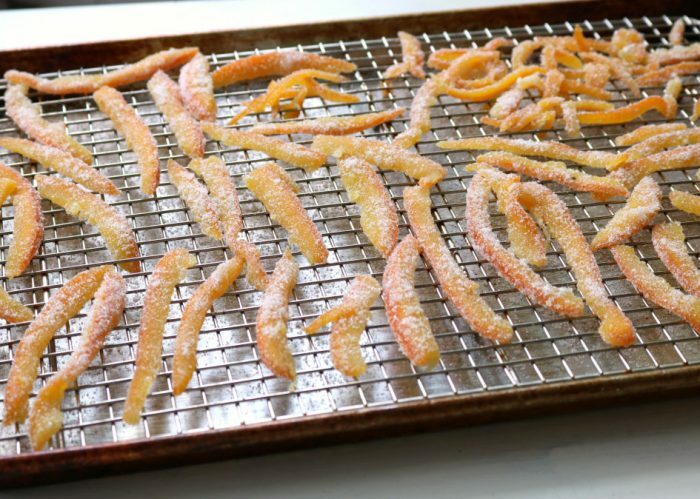 The directions call for the addition of orange or lemon zest though none is mentioned in the ingredients. How much do you suggest be added? I added a bunch of orange zest anyway, PLUS the cardamom, and it was delish! These are amazing. Thanks Julie! The snow won’t stop and it’s kind of like living in the middle of a snow globe. 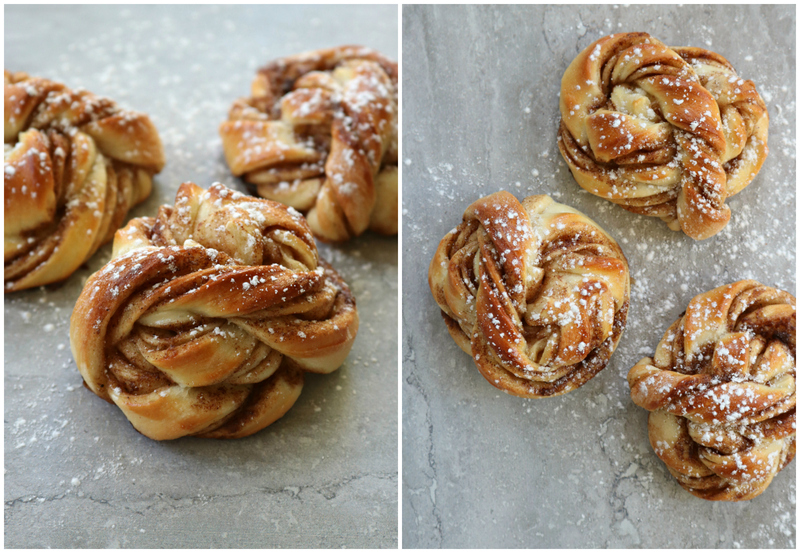 I made these cinnamon buns and now the house smells so good – love the cardamom in them. Great! Thank you for your great recipes. These are delicious! Made them last year, making them again this year for Christmas breakfast. I had the same squishing problem that others mentioned — my fault for not reading the comments first, as I might have chosen another recipe. It might also be worth weighing your flour and telling us what you get from your 3 cups. I weighed out mine (4.25 ounces per cup), and had basically pancake batter. Had to add almost another cup. They came out sort of “meh,” possibly because so much filling cake out during rolling. They were over-done on the outside and under cooked on the inside. Not a success, sadly. Took two attempts as the first time I used the wrong yeast (I’m a beginner) but the second batch were perfection! Thanks for the recipe!